See photos from last year's event HERE! 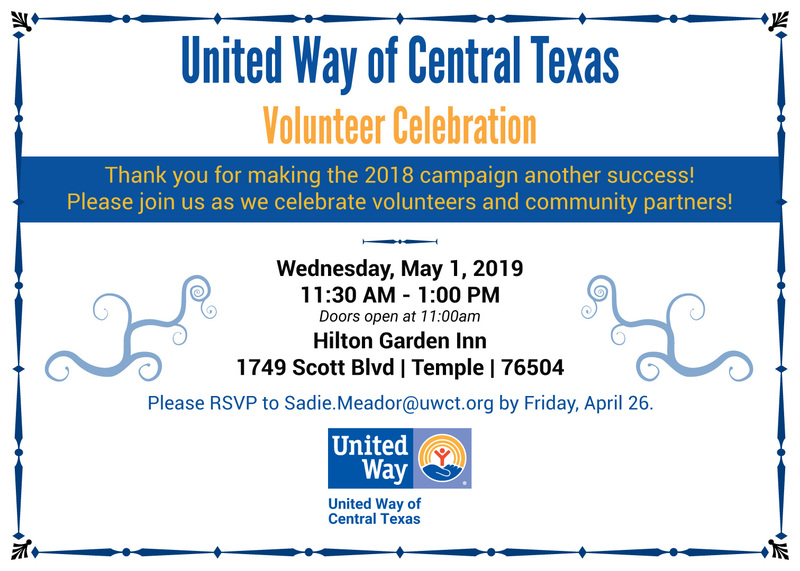 Thank you for joining us to celebrate the volunteers that make the United Way of Central Texas campaign successful! © 2019 United Way Worldwide. All rights reserved.